As the 2017 AgriFutures™ Rural Women’s Award National Winner, Tanya will receive a $10,000 bursary from Westpac (adding to the $10,000 bursary she received as the WA state winner) to further progress her winning project – a Camp program to support women from regional WA to develop their leadership skills and capacity – plus also assist with speaking engagements as the National Winner. “I am thankful to AgriFutures Australia and the AgriFutures™ Rural Women’s Award for this fantastic opportunity. It just shows that even in an isolated location like Kulin, you can make a difference,” Tanya says. “The Award bursary will allow me to really ramp up the women’s camp pilot program. This program will target women living and working in rural and regional areas, providing personal development and leadership skills training to increase their self-esteem and equip them to take on leadership roles and initiate change in their own communities,” Tanya says. Tanya ran camp and youth activity programs for at risk children all over the world before she established Camp Kulin four years ago. “I had to resort to Google maps to find the location of Kulin when a resident first called and invited me to visit in 2013,” Tanya says. 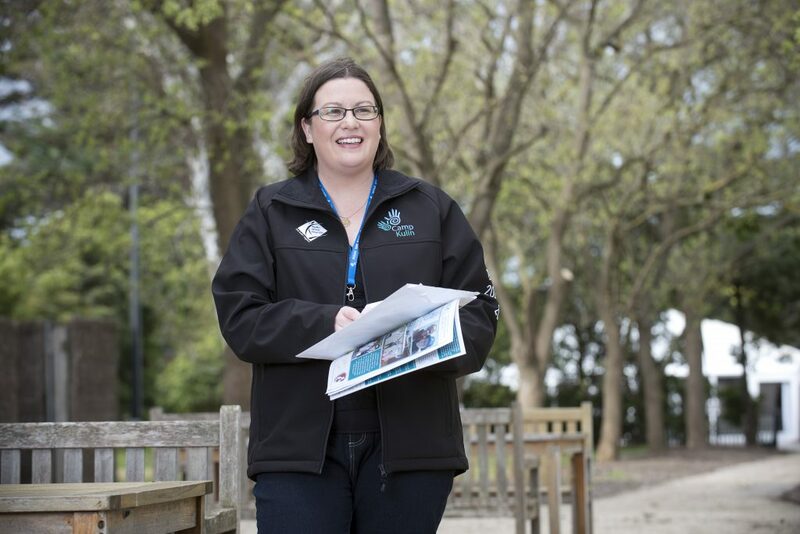 Now, under Tanya’s guidance, hundreds of volunteers contribute to improving the lives of WA children by teaching them life skills, leadership and self-confidence. Camp Kulin also provides scholarships for those affected by childhood trauma or facing emotional challenges. “I’m really excited to help spread the word about the AgriFutures™ Rural Women’s Award, which provides women like me with so many opportunities,” Tanya says. John Harvey, AgriFutures Australia Managing Director, congratulated Tanya and says her impact on the volunteers and participants at Camp Kulin, as well as the Kulin community, is an example of leadership at its best. “Tanya is a true example of everything the AgriFutures™ Rural Women’s Award stands for. She has the drive and the capacity to create real change and has also innovated to create a completely new industry for the wheatbelt, which in turn will support other rural and regional businesses in the supply chain,” Mr Harvey says. Meanwhile, the 2017 national runner up, Simone Kain from SA, is living proof the Award is creating opportunities for female leaders wanting to create impact in rural and regional Australia. Simone identified a lack of children’s books addressing life on the land in Australia. Simone will be building on her successful ‘George the Farmer’ stories and educational resources about life on the land by creating three new educational children’s resources, focusing on the wide and varied careers that are possible in agriculture, and featuring her other popular character Dr Ruby, a talented agronomist. “Congratulations to Tanya, Simone and all the outstanding national finalists who have all contributed significantly to their industries and communities,” Kay Hull, AgriFutures Australia Chair says. “I can’t wait to see all their projects come to life over the next 12 months. These awards celebrate the enormous but often untold contribution Australian women make to rural and regional communities,” Mrs Hull says. The AgriFutures™ Rural Women’s Award Platinum sponsor, Westpac, also congratulated Tanya on her innovative project and for winning the coveted national Award. “Tanya’s recognition as this year’s winner is a tribute to all women in rural, regional and remote Australia. We know from our relationships with our customers that there are thousands of women across Australia making incredible personal contributions to their sector and their communities, and that is why we continue to sponsor these awards,” Steve Hannan, General Manager for Westpac Agribusiness says. Mr Hannan also commended all the national finalists on their achievements and said the bank looks forward to seeing how their Westpac bursary helps them to pursue their future success. Online applications for the 2018 AgriFutures™ Rural Women’s Award open on Thursday, 14 September at www.agrifutures.com.au/rwa and close on Sunday, 29 October.